“This award belongs to Summit’s clients and the staff who serve them," says Anthony Curcio, Summit Principal. 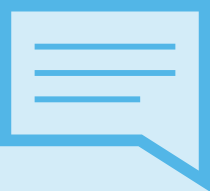 "Summit’s growth and expanding capacity comes from the growing trust that our clients place in our staff and experts. We are grateful for this trust, and we work to earn it every day." In addition to its strong financial growth, Summit was recently recognized for its outstanding work-life balance for employees. In 2016, Summit earned its second consecutive Seal of Distinction Award from WorldatWork Alliance for Work-Life Progress (AWLP). Summit's clients include major civilian Federal Agencies and private sector firms. 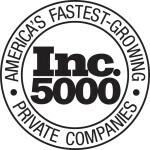 The Inc. 500|5000 is a list of the fastest-growing private companies in the nation. Started in 1982, this prestigious list of the nation's most successful private companies has become the hallmark of entrepreneurial success. For more information, visit http://www.inc.com/. Based in Washington, DC, Summit is a specialized advisory firm that blends expert academic knowledge in economics, statistical sampling, and survey research with hands-on experience in data analysis, risk management, and evidenced-based program evaluation for federal government agencies and private-sector clients. Summit staff and experts have advanced degrees in economics, public policy, statistics, and urban planning. Summit is also assisted by a number of leading researchers in economics, statistics, and survey-research design at major US universities. Founded in 2003, the firm helps its clients meet their business and policy objectives with tailored services that reflect a high degree of quantitative rigor and often address complex problems. For more information on Summit, please visit www.summitllc.us.